When it comes to have a residential plan, we all wish to have a home sweet home that can beautifully express tranquility, harmony and its dynamic as well as functional spaces. 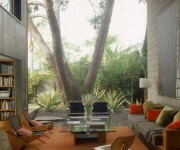 Such an architectural delight has been designed by Steven Ehrlich in Venice, California. 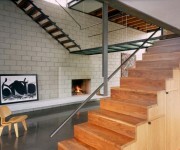 The use of wood and steel in the structure is the main attraction of the house, which creates a center of attraction. 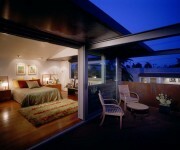 The designer has intelligently maximized the volume and light to add a wonderful change in the aura. Let us have a look…..
700 Palms is a stunning and site specific architecture that exhibits a perfect mixture of raw industrial materials with a refined modern aesthetic look. 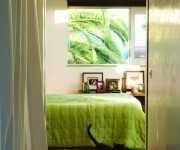 The breezy house is full of life and energy with numerous functional spaces that add to the comfort of the owners. 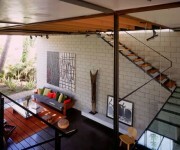 The outdoor spaces also have a flowing interior floor design which adds to the exquisiteness of the space. 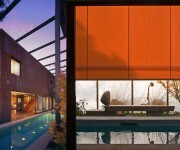 To have a closer view on interiors and exteriors, let us take you to a small expedition along the residential design. Starting with the exteriors, as you have a glance from outside, you will realize that the use of wood and steel frame structure offers flexibility and transformed aesthetics to the residential plan. This enclosed structure ensures privacy, shields the home from different weather conditions and also controls heat gain exposure. There is a three course garden embracing three trees that are almost 60 years old and the site offers a perfect view of eclectic bungalows in the neighborhood. The use of large glass doors that swing or slide, actually increase the flexibility and transparency of the home with the Mother Nature. 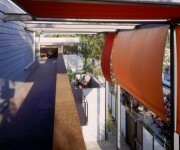 The house has been designed in a way to take full advantage of the local climate. 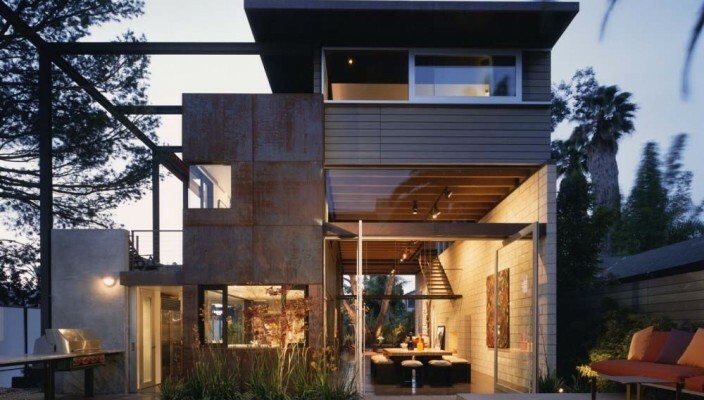 The use of highly efficient building envelope, passive solar gains, radiant floor heat and solar energy and the open element that turns lounge into pavilion are some features that make this home just perfect for dwelling. 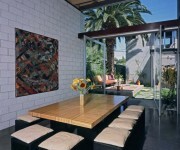 The dining area is 16 foot in all with a simple yet elegant interior design that reveals freshness in the atmosphere. Some other features like natural ventilation, thermal mass and shading used in the home fulfill the energy saving goal for the owners. Steven Ehrlich is a distinguished architect who started his journey in early 1970s’ and is well known for designing eco conscious buildings. 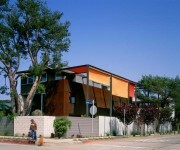 The designer’s projects and works has helped him earn popularity, seven national AIA awards and the name ‘2003 Firm of the Year’ by AIA California Council. His main idea behind designing 700 palms was to come up with a plan that is eco conscious and can help owners to save energy in every possible way. Including 700 palms, Steven has worked on many other recognized projects like Helal New Moon, Carrillo, The Schindler residence, UC Irvine Contemporary Arts, Zeidler residence, FNC’s New Parliament Building Complex and lots more.